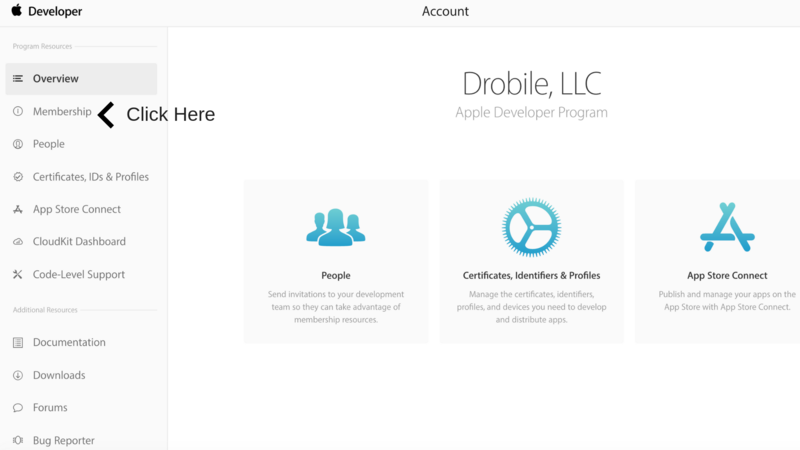 The first step is to sign into your apple developer account. 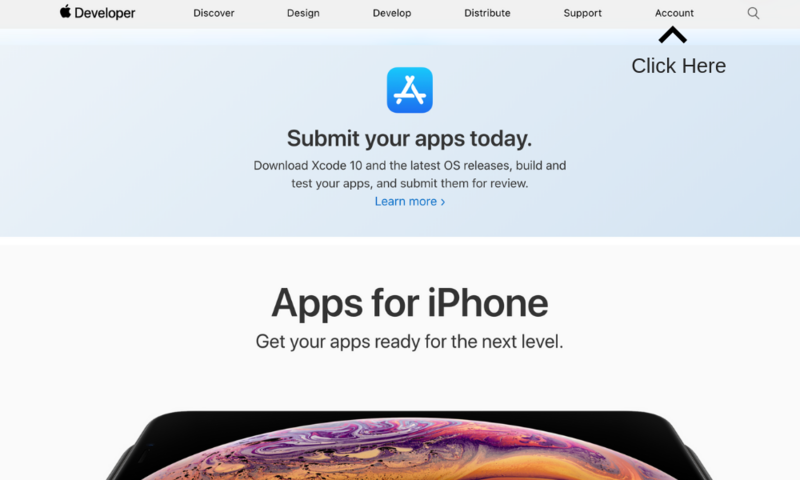 You can find this by clicking this link https://developer.apple.com This page should look like this. Simply tap the account button on the upper right as seen in the screenshot below. After you clicked the account you will be prompted to login with your credentials. Upon successful login you should see a screen like this. Simply click the Membership button on the left navigation panel as seen in the screenshot below. After you clicked the Membership button you will see a page like the screenshot below. Your Team Name is located next to the "Team Name" label. 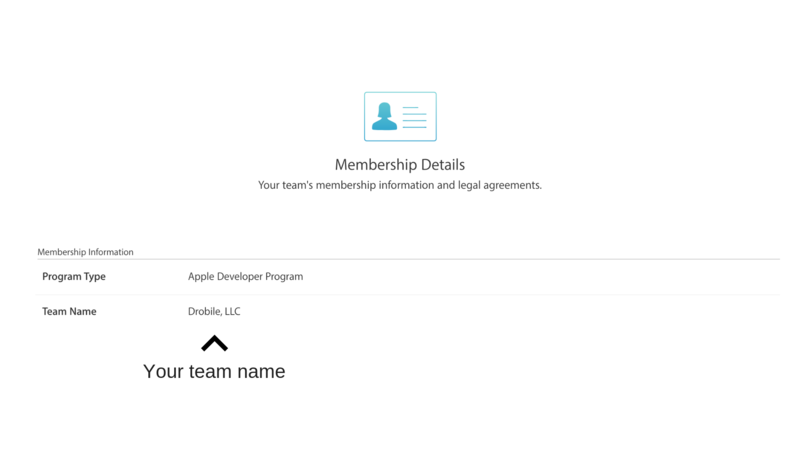 Enter this EXACT team name in the drobile app submission form. That's it! Simple as that!